Perhaps you thought celebrities were all glam red carpet appearances and impossibly photoshopped thighs? You’ll be pleased to know there’s much more to the story. Go analogue! 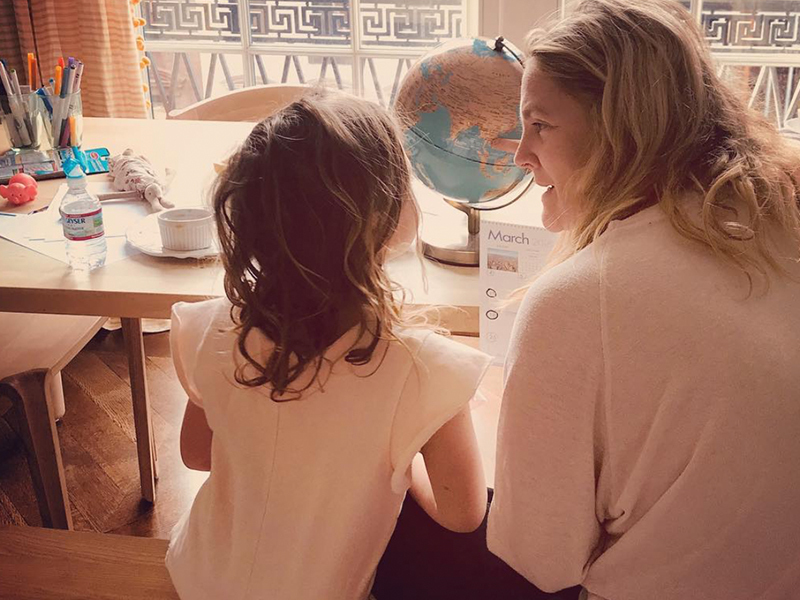 Jet-setting working mum Drew enlists the help of a calendar and a globe to help her daughters Olive and Frankie grasp where she's working and when she'll be back. “Olive has a working mom. So, I came up with a couple of systems. One of which is THE CALENDAR,” she explains. “It has been very successful recently. I circle with a sharpie every day I will be travelling. And I ask her to mark the day with an ‘X’ once it’s done. That way she can see that I am gone at first, still away in the middle, and then coming back towards the end. She now has a good sense of my geographic place from the globe. She knows when I am leaving and coming home.